The Typhoon was a British single-seat strike fighter, produced by Hawker Aviation starting in 1941. 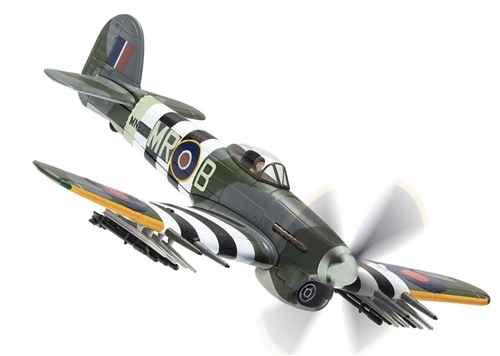 Intended as a replacement for the Hawker Hurricane in the interceptor role, it suffered from performance problems, but eventually evolved into one of World War II's most successful ground attack aircraft. Our Price: $64.99 Sold Out!